by Brianna Crandall — July 6, 2018 — Spec, a prominent customer-oriented contract furniture manufacturer, made several product introductions at last month’s NeoCon contract interiors show, where the company’s Hardi Rocker, described below, snagged a Gold award in the prestigious Best of NeoCon Competition. Designed as an easy-to-clean single piece of rotationally molded polyethylene, Hardi armless Dining and Lounge launched last year to what Spec says were rave reviews for its worry-free support in behavioral health, although the line has been used in other public spaces as well. This year, Spec introduced four new solutions to ensure design continuity and breadth of line. 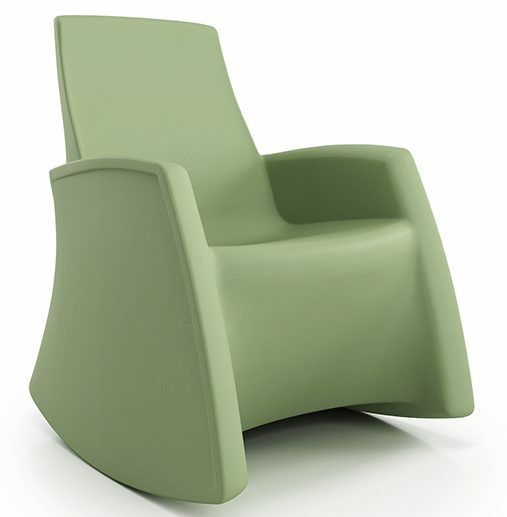 The durable new Hardi Rocker features an inviting profile and allows patients, caregivers and other in public spaces to self-soothe when needed. Lounge and Dining chairs with arms add versatility in cafeteria or TV rooms. Hardi Stool is a fitting addition to situations where needs change frequently, says Spec. Ensuring design continuity in a space, the new Hardi additions put patients and caregivers at ease and give facilities an opportunity to holistically specify behavioral health furniture requirements with confidence. Seating may be combined in style, or grouped by six inviting standard colors to create aesthetically dynamic areas in hard-use applications. Although it was designed with behavioral health in mind, Hardi has been used schools, police stations and other public service areas where ease of maintenance and durability are just as important. All Hardi models are standard with CAL133, and can be weighted. Hardi Lounge and Dining with arms will be ready to ship September 1, while Rocker and Stool designs will be available to ship November 30, 2018. Factory Table brings the option of mobility to collaborative areas. To support dynamic group tasks, a 2” steel base and a 2” built-up edge table complement industrial locking casters engineered to make movement effortless. For those with dedicated teamwork areas, Factory may be specified on glides as well. Spec assists customers in finding new ways of working solo or in teams. 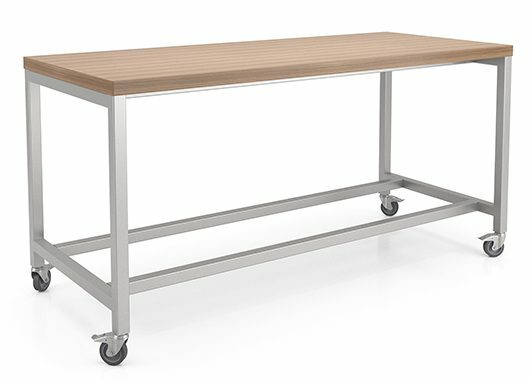 Over the last few years, we have built many versions of Factory Table specific to customers’ needs, and it was time to add it to our standard offering. Along with this exciting new product launch, we are introducing a solid wood top as an option for the Factory Table for a strikingly sophisticated look. Factory Table is available in 30” and 42” heights; 36” and 42” depths; and 72”, 84”, and 96” lengths. Power and communication modules can be specified on the table. Designers will appreciate an endless selection of laminates, a choice of 38 2MM bio edge colors, and 76 Spectone base colors. Factory Table lets specifiers create attractive collaborative areas. Factory Table ships September 1, 2018. For more information on the new product offerings, visit the Spec website. These 5 trends demand a new approach to managing health-care facilities, says JLL June 27, 2018 In "Surveys and Trends"
Did you know a germy biofilm sticks on up to 93% of hospital surfaces? Find out how Medentech is tackling it — without damaging surfaces September 17, 2018 In "Products and Services » Cleaning Equipment & Supplies"
Find out how a germ-zapping robot is helping this regional hospital disinfect hard-to-reach surfaces May 18, 2018 In "Contract Awards"